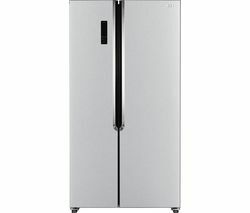 Keep fresh and frozen food stored safely and effectively with a Logik fridge freezer from Currys. For larger homes, a model with over 260 litres of space is a good choice, while those with more modest storage needs might want to consider a smaller refrigerator with under 200 litres. Improve your household energy efficiency with our A+ fridge freezers, maintaining low running costs and diminishing your carbon footprint too. Frost free appliances are especially handy, saving you the mess and hassle of manual defrosting. 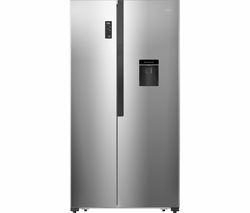 Fast freeze technology allows Logik fridge freezers to get new items down to the ideal temperature, sealing in goodness and protecting items you’re already storing. Look out for flexible storage and practical touches like egg trays and bottle racks, and enjoy reliably durable support for your groceries with safety glass shelves.